Lodermeier’s wanted a local team they could partner with to find solutions and save hassle. 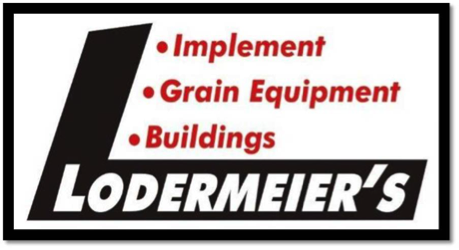 Lodermeier’s is a successful, small-town business that has sold & serviced farm machinery, outdoor power equipment, grain equipment, and post/steel frame buildings since 1947. They cater their business to farmers and businesses of all sizes, but primarily deal in the agriculture sector. They take pride in the fact that they are able to service what they sell through a dedicated team of great employees who make up the Lodermeier’s name and business. As you can see, Lodermeier’s is dedicated to the consumer and wants to provide the best service possible, especially after the sale of their products. They knew the days of their old Avaya phone system were coming to a close, as it was becoming outdated and could no longer be supported by Nuvera. With an upcoming move to a new facility for their business, it was also the perfect time to find a new phone system as well. They needed something that would allow them the ability to handle call traffic, keep in touch with customers, and give them additional calling features. However, they also wanted a dedicated and helpful team to come with it; enter Nuvera. Lodermeier’s knew about Nuvera’s reputation for high-quality, local service, and that is what really stood out to them when making a decision on a new phone system. The local technicians and business contacts Nuvera provides around the smaller community of Goodhue allows them peace of mind, knowing that help is just a few blocks away. Nuvera quoted them different phone system options, but Lodermeier’s really liked the idea of the hosted solution of FlexVoice, and the capabilities that it has. You see, FlexVoice is scalable to businesses of all sizes, has different packages full of calling features employees are free to use, and since no equipment other than the device is necessary, there is no upfront capital expense to worry about. Lodermeier’s was convinced that the FlexVoice solution offered through Nuvera was the best choice for them, and it has saved them time and the cost of purchasing new equipment, and gives them a team of dedicated Nuvera experts. They are now able to manage the phone system features themselves, through an online portal, or utilize the Nuvera team to make the phone provisioning changes remotely, saving them the cost of sending a tech on-site. Their employees now have more calling features than they have ever had before, such as call forwarding, voicemail, and caller ID, among others, which make their work and productivity better. Saving time and money while increasing productivity is what every business strives for, and Lodermeier’s was able to accomplish all three with the switch to FlexVoice. Loderemeier’s really enjoyed the fact that Nuvera has a great local presence in the small community of Goodhue. The sales and support teams give a very personal touch, and are doing more than selling them a phone system, they’re creating a technology partnership. While some of the local technicians may not have all of the technical answers Lodermeier’s is looking for, they know there is a whole team at Nuvera willing to help when needed. Lodermeier’s would recommend Nuvera to other businesses simply based on the local presence offered in communities of all sizes.